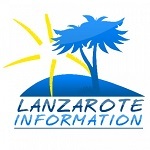 What’s The Weather Like In May In Lanzarote? Weather forecasts for Lanzarote are notoriously inaccurate – we’re a small island in a huge ocean! But the ones from Wundeground are as good as you’ll get. What’s The Weather Like In April In Lanzarote? What’s The Weather Like In March In Lanzarote? A summary of the weather in Lanzarote in March to help those booked to come here. We’ve been recording the actual weather on the island since 2008, so we’re in a unique position in being able to tell you what to expect, what clothes to pack and what activities are good. What’s The Weather Like In February In Lanzarote? Weather average are no help. But we’ve been recording the real weather here in Lanzarote for years, and this is a distillation of that, and will tell you what to wear, how likely rain is and what temperatures you can expect for your February holiday. What’s The Weather Like In January In Lanzarote? Villa 357 is a nicely equipped holiday rental property in the Costa Papagayo area of Playa Blanca. It features a private, heated pool.